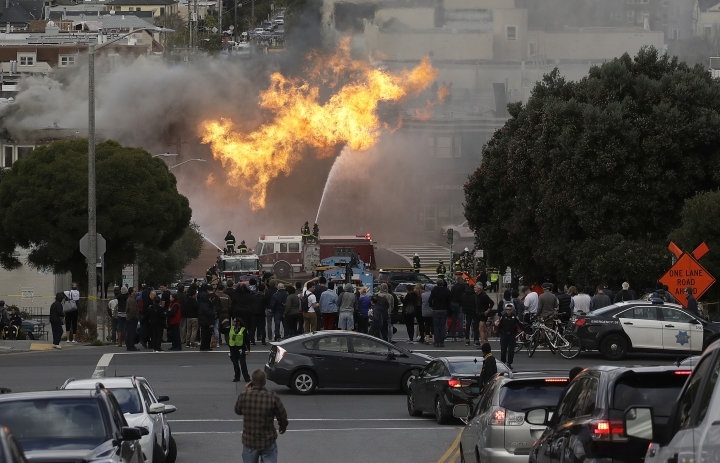 SAN FRANCISCO — The National Transportation Safety Board will investigate a natural gas explosion in San Francisco that sent flames into the sky for hours and damaged five buildings, an official said Thursday. "We're going to look at not only what happened but why it happened and see if there are any lessons to be learned for future safety," Weiss said. 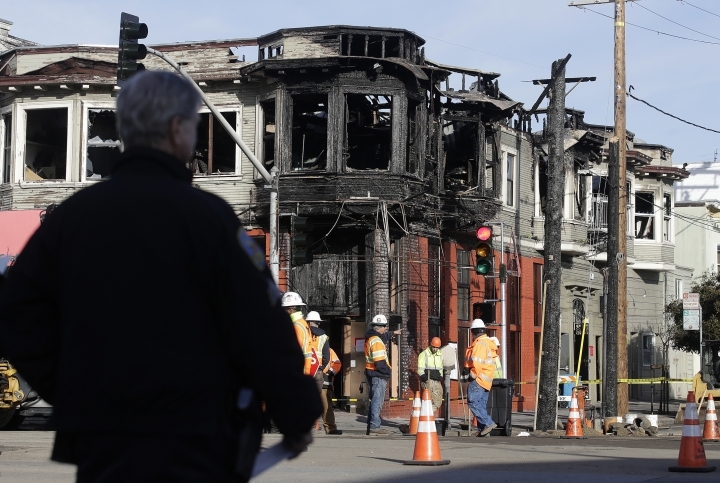 California's workplace safety agency, Cal/OSHA, also is investigating. 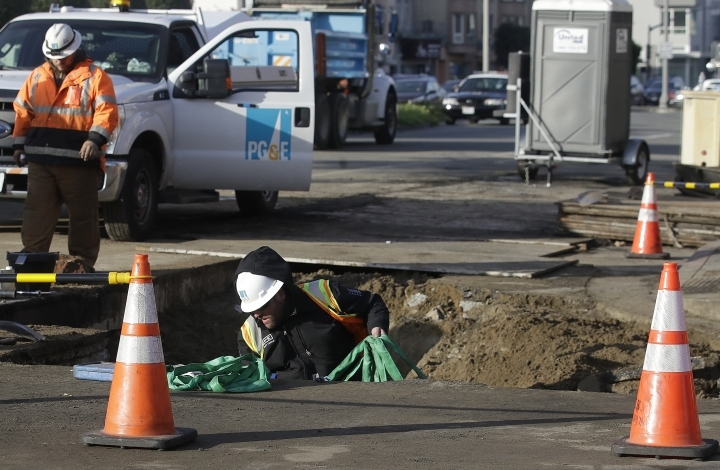 State law required crews to dig by hand around numerous other pipelines before they were eventually able to "squeeze" a 4-inch (10-centimeter) plastic line, PG&E spokeswoman Melissa Subbotin said. 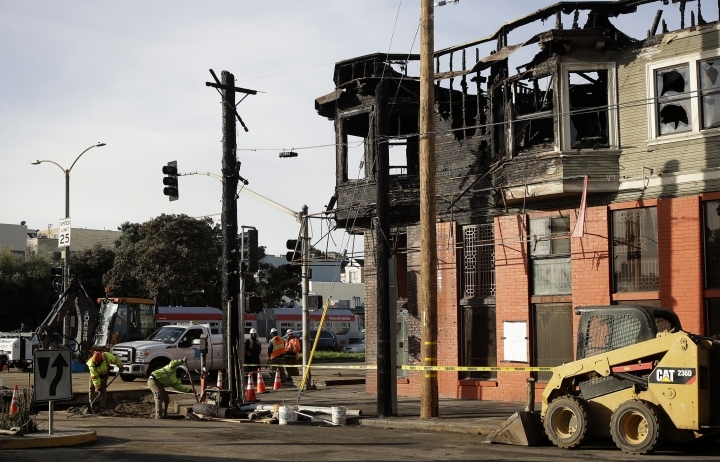 "Had we turned the gas off to a transmission system, we would have shut off gas to nearly the entire city of San Francisco," Subbotin said. 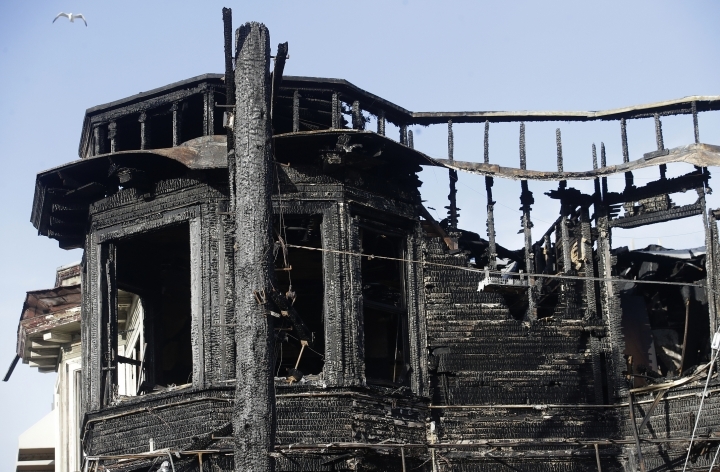 "The objective of this was to turn the gas off safely and as quickly as possible." The company stressed that the workers who cut the gas line are not affiliated with the nation's largest utility. 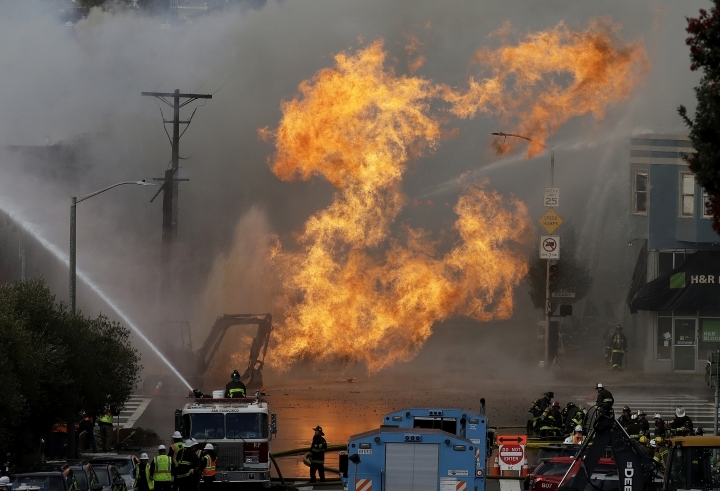 About 300 customers were affected by the gas line rupture. 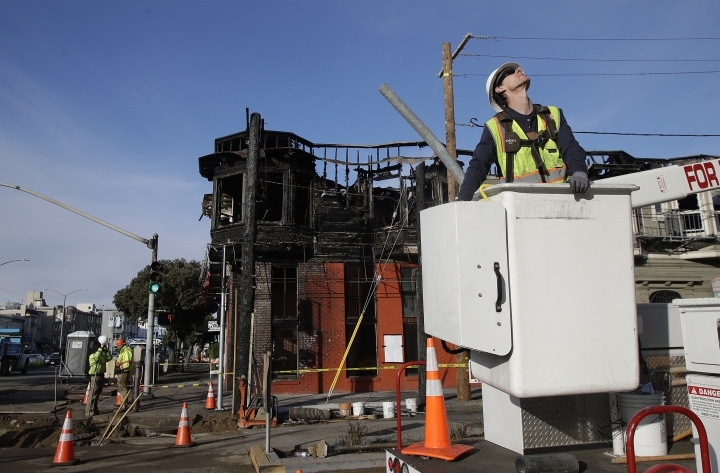 PG&E restored gas to the line Thursday and went door-to-door turning back on customers' pilot lights. "We want to express our deep concern for those affected by the gas line rupture," MasTec executive John Higgins told the station in an email, adding that the company has started an investigation into the accident. Five buildings were damaged, including one housing Hong Kong Lounge II, a reservations-only dim sum restaurant that is a fixture on the city's "best of" lists. The fire began on the street in front of the restaurant. Officials evacuated several nearby buildings, including a medical clinic and apartments, Hayes-White said. Vehicles on one of the city's main arteries were rerouted as authorities cordoned off the bustling neighborhood. 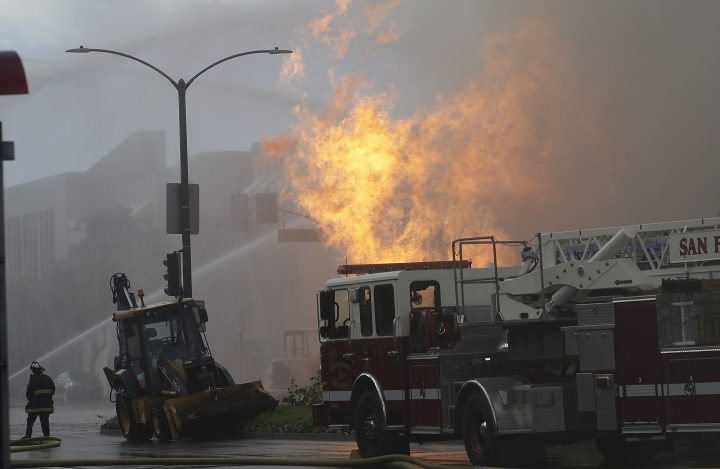 A U.S. judge fined PG&E $3 million for a conviction on six felony charges of failing to properly maintain the pipeline, and the utility remains under a federal judge's watch in that case.